In a surprise move yesterday, Bank of Japan Governor Masaaki Shirakawa announced that he would be stepping down from his post on March 19, three weeks ahead of schedule. No, Shirakawa wasn’t taken to a back room of the Finance Ministry and tortured till he signed his resignation letter (or at least that’s what he says). Rather, Shirakawa said that he wanted to time his departure along with that of his two deputies. By doing so, the new BOJ policy-board members could start together at the same time, thereby allowing them to get a head start on implementing new policies. The truth is though, ever since Prime Minister Abe was voted into office, Shirakawa has been stuck between a rock and hard place. With Abe building his campaign on the fight against deflation, it’s pretty obvious that the government will look to replace Shirakawa with someone who will be more aggressive with regards to monetary easing policies. In any case, once the markets heard of Shirakawa’s intentions, the yen bears were at it again! 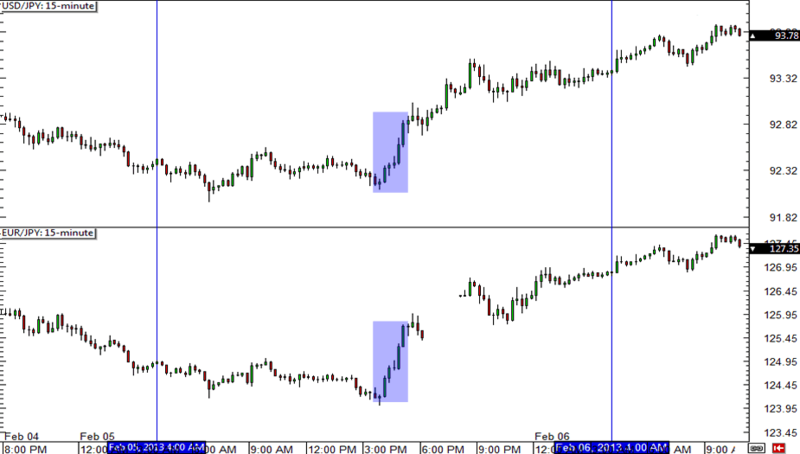 Both USD/JPY and EUR/JPY jumped to new highs, with the two pairs gaining over 100 and 200 pips, respectively. It seems as if the markets understand that with Shirakawa out of the way, chances are that we’re just going to see more aggressive easing from the BOJ. Who will replace Shirakawa? Let’s take a look at leading candidates to fill up his position. Mr. Muto knows the ropes of policymaking having served as central bank deputy governor from 2003 to 2008. With his experience working for the Finance Ministry, he’s seen as a favorite. Some naysayers worry that his inability to speak fluent English could work against him though. Remember that the BOJ is looking for someone who can communicate its intentions to the markets. A graduate of the prestigious University of Oxford, Asian Development Bank President Haruhiko Kuroda is also rumored to be a candidate. They say that he has all the right credentials to represent the BOJ in the international scene. However, his post at the Asian Development Bank could complicate things. If he is chosen to be the next central bank head honcho, Japan could risk losing presidency at the ADB to another country. The third contender was also once a deputy BOJ governor. Kazumasa Iwata was seen as a strong proponent of easy monetary policy back in 2007. However, some question Iwata’s credibility He was widely seen as a dove but he did not oppose to the BOJ’s rate hike in 2008. Whoever the government appoints, it seems that market junkies are pretty sure that it will be someone who would favor aggressive easing. Heck, there are even rumors now that the BOJ’s unlimited asset purchase program, which was initially scheduled to start in 2014, could start ahead of schedule! It’s also not very difficult to imagine the BOJ introducing other types of policies to ease policy even further by buying different kinds of bonds to help propel Japan out of deflation. If these rumors turn out to be true, I wouldn’t be surprised to see the yen get aggressively sold off in the coming months! Who do you think is the favorite to take over as BOJ Governor?